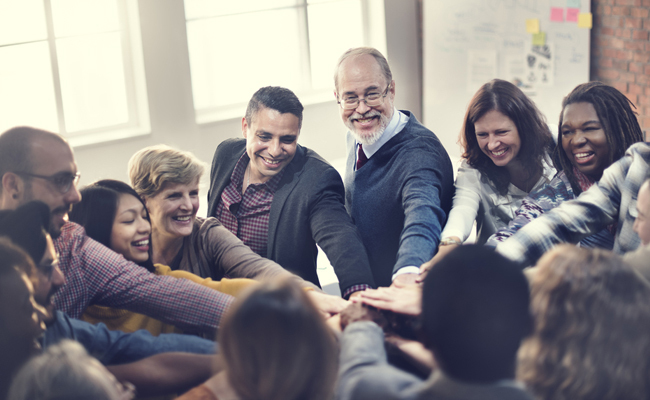 In Like so many other tasks in life, escape rooms require communication, teamwork and trust to be successful so you need to make sure you have a well-rounded team to help you out. 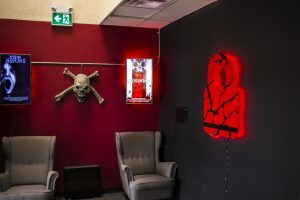 If you’ve got an escape room booked you’re no doubt excited about getting in there and having some fun, but take some time to form a strategy and aim to put together the perfect escape room team made up of individuals that fit the following criteria. The eagle eye is the member of your team that takes the initiative in searching the escape room for relevant information. They should be ready to spot and keep track of key clues that may be important throughout the game. Any experienced escapee knows that the room is likely to be full of information and items just waiting to be discovered. The eagle eye’s job is to search each section of the room thoroughly as they become available. In the off chance that they’ve missed something (because hey, nobody is perfect) a good and efficient eagle eye will also encourage others to search the same spots when they get the chance. Lastly, the eagle eye should always announce what he or she has found to the rest of the team so that everyone is on the same page. 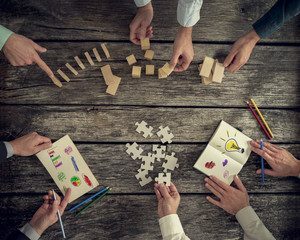 The whiz kid is there to help if any member of your escape room team should happen to get stuck on a particularly difficult puzzle or problem. This is your group’s main thinker, they’re the chief-of-puzzle-solving. The whiz kid should work closely with the eagle eye to make sure all possible components of a puzzle have been found and there are no loose ends. Ideally the whiz kid is prepared to tackle logic, math or language puzzles, however, it’s important that they not think too highly of themselves and always ask the other team members for their input in order to gain new perspectives and think outside the box. This is the member of your team that that has an abundance of escape room experience. The connoisseur knows escape rooms like the back of their hand and has a sixth sense for knowing what to expect and what to look for in order to escape successfully. The rest of the team should always trust the connoisseur’s instincts. However, it’s important to remember that no two escape rooms are identical, so it’s a good idea for the connoisseur to keep an open mind and be ready to adapt should the room suddenly throw something entirely new at them. So your team has used up all its clues and you’re still stuck on that one infuriating puzzle with only ten minutes to go; this less-than-ideal situation isn’t very good for moral. No need to worry, because the cheerleader’s job is to perk up everyone’s spirits and motivate them to keep going. The cheerleader is absolutely crucial in keeping your team going and not letting the stress that can come with an escape room take over. The cheerleader stays positive even under the most daunting of circumstances, and encourages everyone to give it their all. Sometimes a little extra motivation in an escape room can be the difference between success and failure. Escape rooms can get pretty hectic pretty quickly and a poorly managed can lose their cool just as fast. This is where the overseer comes in. The overseer’s job is to manage the other team members and make sure everyone is doing their job. The overseer is particularly important when time is close to running out, as the final minutes of a game often cause panic to set in. A good overseer keeps everyone on track and helps out as best they can while doing so. Remember, with great power comes great responsibility! Now that you know what goes into a top-notch escape room team, get out there and assemble a group of your own. We’ll be waiting for you!